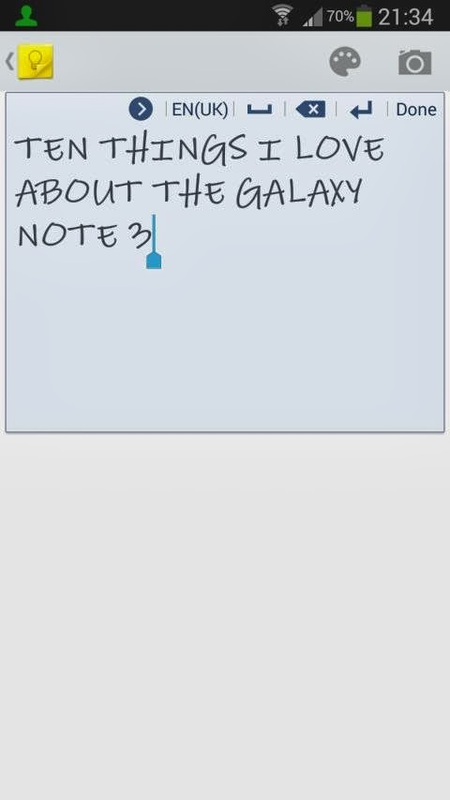 I recently compiled a list of things i liked about the galaxy Note 3, well it seems i would have to add to that list as i seem to stumble on more things that i like about the device the more time i spend with this phone. so here's a Part Two to the original post. 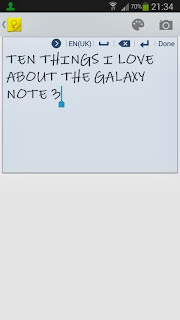 The Galaxy note 3 comes with a stylus (S-Pen) and the touchwiz software allows you to write directly on the phone with the stylus (S-Pen). 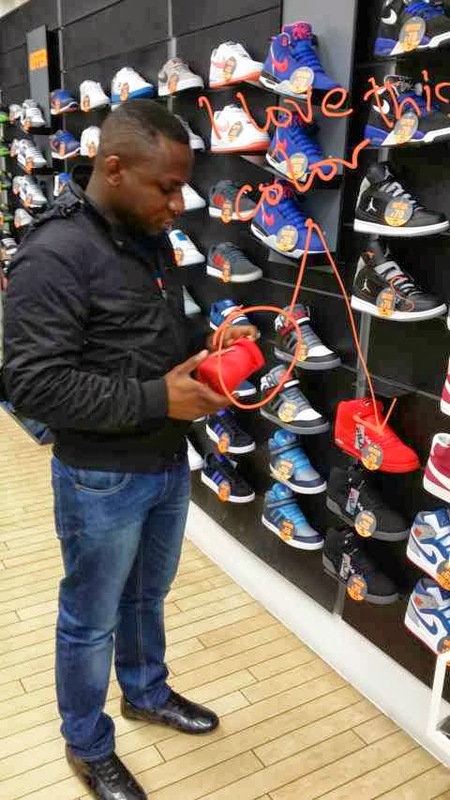 Which comes in handy sometimes and is great to show off to people. The Galaxy note 3 co mes with a feature called the pen window which allows you to use small sized versions of some apps which is great for multitasking. 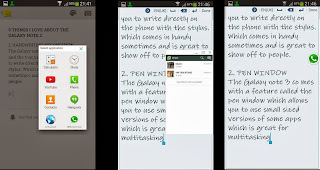 To activate this feature all you have to do is press the button on the side of the S-Pen and select Pen window from the air command menu and draw the area around which you want the pen window app to occupy and select the app the number of apps is limited as of now but rooted users can add more apps with Xposed framework. The app can be minimized to an icon just like the facebook messenger chat head which i thought was really cool. Instead of holding down both the menu and button power to capture a screenshot (which gets increasing difficult given the size of the phone and the fact that using this feature on android can require more than one try to get it right). 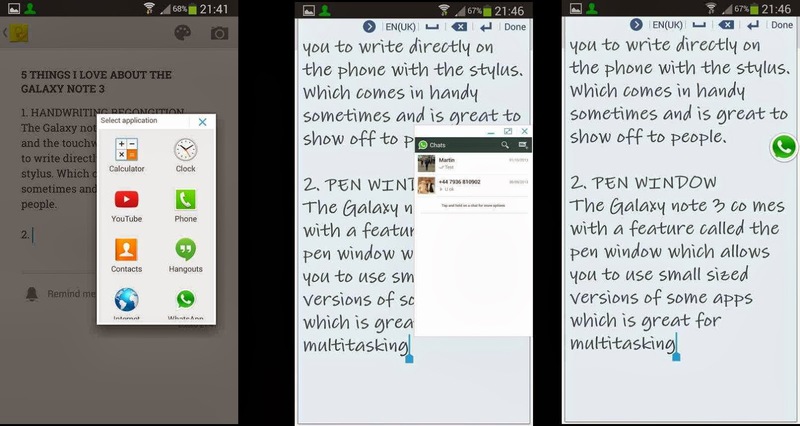 You can just use the S-Pen to capture the screenshot by clicking on the button and selecting screen write from the options and saving it. The photo above explains it all, the S-Pen makes it so easy. this almost slipped my mind, the camera on this baby is really good. Samsung has reworked the camera interface since the Galaxy S2 and it looks just right with the carousel of shooting modes which to me is a great step up from the basic camera interface found on the Google camera app and the iPhone. You could check the price on expansys or amazon. Am sure they would have the latest prices.